There it is, that liquid sound, that trickling water, the jagged trajectory of a countryside rill becolumned with rocks and pebbles and clear as glass, all of it glistening atop and refracted below, glinting glinting, overhanging plants, the gnarl of ancient trees, flowers, heather, stone and water, angular and fluid. And it's all created with percussion, plumes of percussive sound that jingles and rat-tat-tats metallic and clinking, all light and lo-fi, a constant trundle, close to haunting with the vintage crackle infused in this textured tapestry. 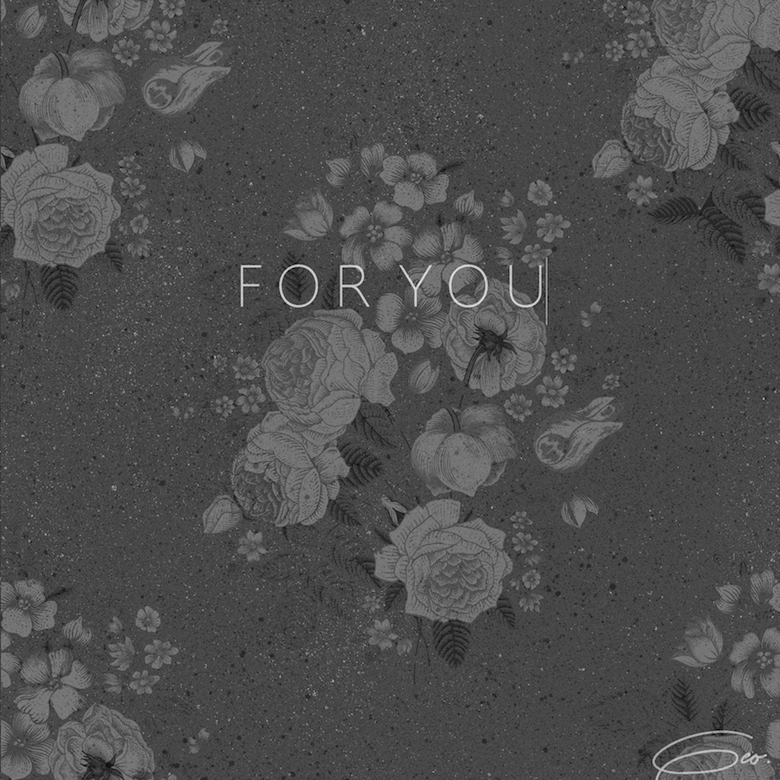 Romantically titled 'For You' this wildly ornamental piece of sound bedecked in silver and gold and iridescent gems was created by LA-based producer GEO, sultry and splendrous, smooth and shivering. The clanking evolves into more woody sounds, clopping clonking robust hollow tick-tockings lashed together with sharp sheafing hi-hats, blessings of percussion that make the skin quiver, hairs tightening in their follicles on the nape of your neck. As if that wasn't enough, bass with a beautiful thick rounded tone scoops out the underlayers of the track and fills it with slow bubbles of groove for a slow-jam feel, soon joined by warm piano chords that lock in with the bassline, play with organic power the hot sighs of a beating heart. Vocals lifted from somewhere paint in silken soothing brushstrokes crooning romance. Little squelchy bleeps act all playful with soft melodies and synth peals soar into the sky. Streaming and flowing riverine and pastoral, here is that sonnet of sound, that melodious pouring forth of emotions, something beautiful carved for a beloved someone. 🔔 You can find GEO's stunning 'For You' on Hype Machine and give it some love if you like.